Hickory Run State Park has been on my hit list for quite some time, so I finally prioritized some things in life and got there. 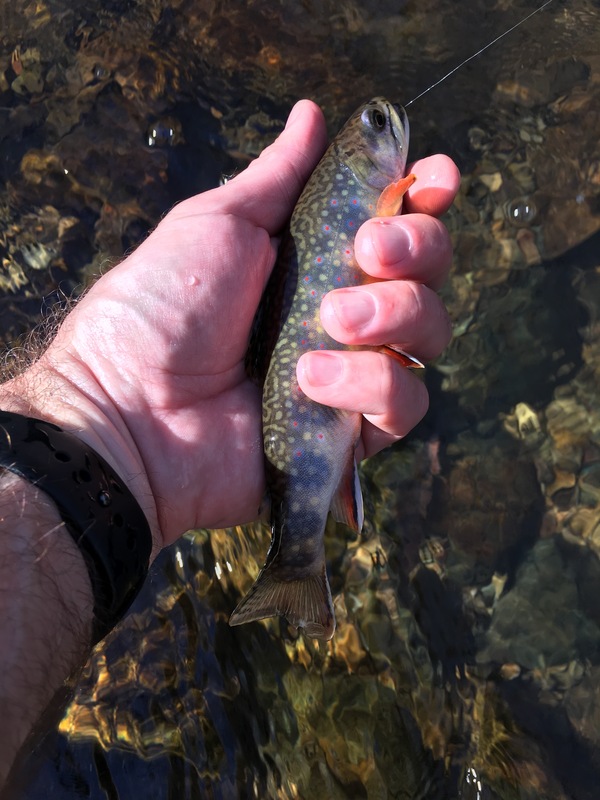 And despite the challenge of what turned out to be an atypical brook trout outing, it was a great afternoon. The ranger at the park HQ pointed me to the access point for one of the streams I had asked about. The thing about Hickory Run State Park is that there are several streams and all of them have good fishing, so I am told. So I simply picked one, got the intel about where to park, and went for a little hike. 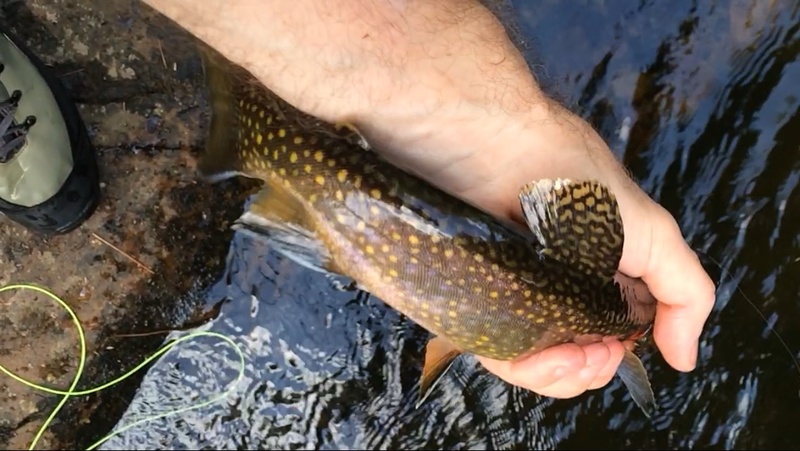 So no, this was not typical small stream brook trout fishing. The water itself was quite a bit larger than the small mountain brooks I’m used to fishing in places like Shenandoah National Park, and the fish were not the usual desperate creatures that hammer anything that looks buggy. That one pool I worked for an hour and a half crushed me. I watched a couple of good trout (in the twelve inch range) cruising and rising periodically. Everything I threw at them was refused. A Royal Wulff, and parachute Adams, a two fly soft hackle rig, a bead head Hare’s Ear… I added weight, removed weight, drifted again and again and again. Maddening. The soft hackles seemed to generate the most interest. One fish nosed the fly on several passes but did not eat it. So there I was, kind of pissed. Which was stupid. 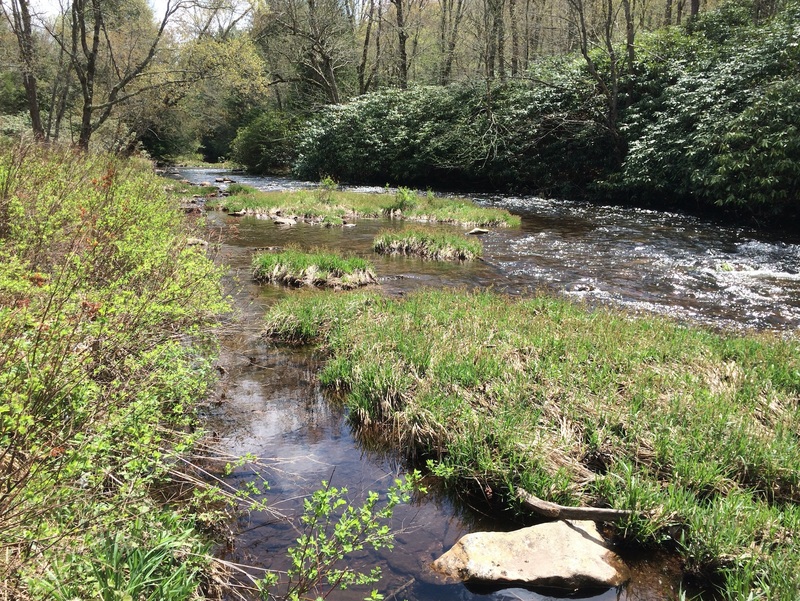 After all, I was fishing on a beautiful wild trout stream and, regardless of the supposed lack of success, what is better than that on a lovely spring day? But things accumulate over time, and it had been a couple weeks since I had caught a fish. And this was not for having avoided trying — the Shenandoah River a few nights before, a canal in Fort Lauderdale a couple weeks ago, and despite limited success on the Occoquan catching some shad last month, this was all adding up to mediocrity, at best. And now this. I was starting to think I could no longer figure it out. When you fail at something for a stretch, and you know you’ve given it your best shot, it’s more than perplexing. You start to sulk. I headed upstream, hiking a hundred yards or so above a wide waterfall with a very deep pool at its base, probably a good ten feet deep. The stream here was about twenty feet wide, pretty big water for this area. The run above the falls narrowed and thinned quite a bit. I did the same thing I had done initially at the lower pool, just sat and watched and waited for a while. Finally, I saw a few rises. A fish on the far side of the main current seam was splashing at things. I tied on a size 12 Elk Hair Caddis. He hit but did not take it. More rises directly upstream, a few casts, and no takes. I switched to a size 14 parachute Adams with a neon green post I tied a couple winters ago. Two casts and the fish on the far side of the run ate it. A very nice brook trout, fourteen inches. Outside of Maine or Canada, not sure I could be much happier. Amazing how one fish can turn your mood around.